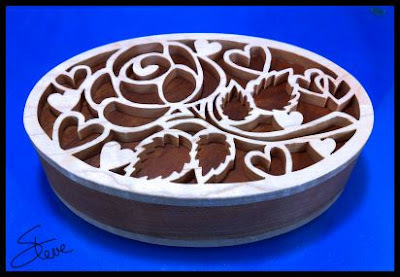 Oval Rose Box Scroll Saw Pattern. 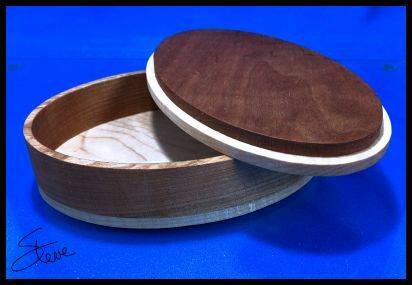 I don't know what it is about boxes but I enjoy making them. It always seems like people enjoy receiving them as gifts. This little sweetheart box is only six inches long so it requires very little wood. I used one-inch thick wood for the walls. 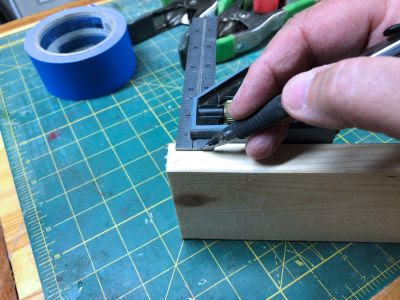 You can make the box as deep as you like by increasing the thickness of the wall board. Up to two inches would probably still be within the proportions of the box. Just make sure your saw can cut a board that thick. You could also cut two boards them glue them together. This method works but can require a lot of sanding to get the walls flush. Japanese Pull Saw(nokogiri Saw). 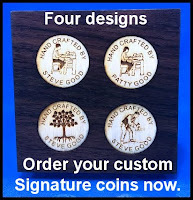 Do you need one? 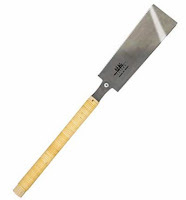 Until about two or three years ago I had never used a Japanese nokogiri saw. I had heard all the hype but just never felt that it was something I needed. The nokogiri saw has its teeth filed to cut on the pull stroke instead of the push stroke like western saws. The blade is also typically thinner than a western style saw. The advantage of the nokogiri saw is that the blade stays under tension during the pull cut resulting in a straighter thinner kerf. For me, it is also much less tiring to use. It just feels more efficient. 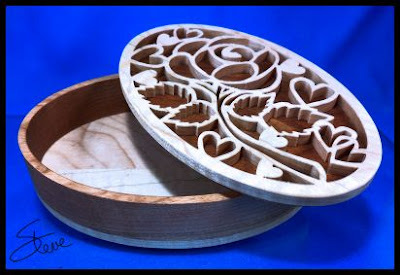 There are different styles of nokogiri saws. The Ryoba style is double-edged and that is what I purchased. Most Ryoba style saws have teeth on one edge filed for ripping and the other edge for crosscutting. 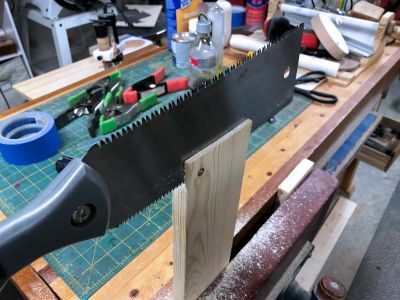 For most hand saw operations, I now reach for this Ryoba saw. I also take it with me when I go to my hardwood lumber supplier. I don't like to have long boards hanging out the back of my truck so I cut them in the parking lot as I load them up. I use to take a battery powered circular saw but the day the battery was dead made me switch to the Ryoba. The Ryoba cuts so fast that I don't miss the circular saw. In this next series of pictures, I am resawing a 3/4" thick board to get a 1/4" board for a scroll saw project. Now don't get me wrong. This is not my typical way to resaw a board. I have a band saw for that. I was just testing my ability to get a straight resaw cut with the Ryoba. It took me a few practice boards but I can now get a decent resaw cut. It still needs some hand planing after I cut it but even the band saw does not give a perfect cut. If you do not have a planer or band saw this can give you a decent resaw for very little money. Just expect to have to practice a little. I also would limit my resawing to boards no wider the 5 inches. I used my square to give me a straight line to follow. I marked both edges and the end of the board. You need a good clamp to hold the board for this operation. Notice that I put a spacer board on the other end of my clamp to make the pressure even. It holds better when the clamp is not twisting. I could not get a good picture of how I start the resaw but I use my index finger on the end of the board next to the line I marked. For the first couple of strokes, my finger guides the blade to get it off to a straight start and on the line. I start at a 45-degree angle then straighten the cut until I reach the depth I need. 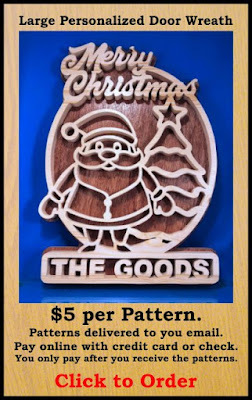 This is still hard work but with practice, you can get thin boards for scroll saw projects. I started this by asking if you need a nokogiri saw. For me, the answer is yes. 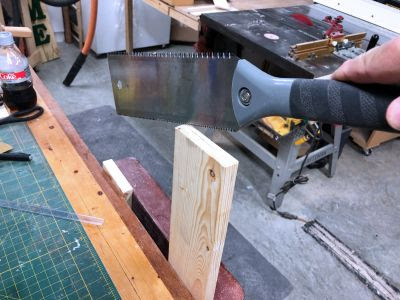 I don't do a lot of hand sawing but the cost of the Ryoba saw is so small that the advantages of having one in the shop far outweigh the cost. not in a DVD player. 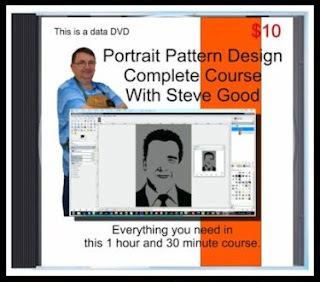 If you have purchased my Portrait Pattern Tutorial DVD or plan to in the future you will want to read this. 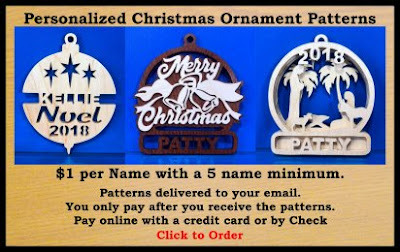 I use a free open source graphics program in the video tutorial. The name of the program is GIMP. After I released the tutorial they updated GIMP and the interface no longer matches the tutorial. It still works fine but things are in slightly different places. If you want to use the same version of GIMP that I used to do the tutorial it is still available on the GIMP web site. You want to download version gimp-2.8.20-setup-1.exe from the page linked below. This is the windows versions. This is the link for the Mac version. Note: This tutorial does expect that you have basic computer skills. You need to know how to download and install the program. You should have basic knowledge to save and open files from the software. It is also helpful to have good coordination with a computer mouse. This tutorial will take you from start to finish. It will show you the software you need. How to select the right photo for the best results. 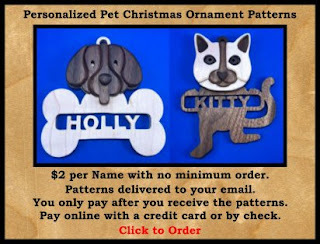 I go through designing a completed pattern, then we go into the shop and cut it.